Home Reviews Miles Jacob: ‘Narcissus’ – a swirling bedrock of 6-string violin and vocal textures! 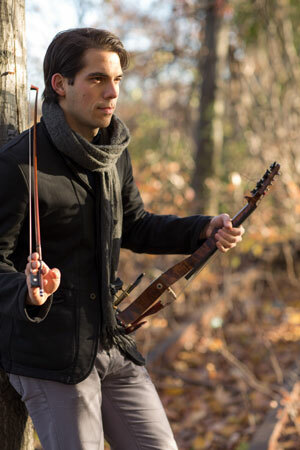 Miles Jacob: ‘Narcissus’ – a swirling bedrock of 6-string violin and vocal textures! 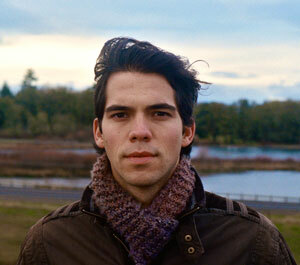 Miles Jacob is an innovative, passionate, and exciting emerging artist in New York City’s music scene. A solo musician, his 6-string electric violin and unique array of effect pedals weave soundscapes ranging in flavor from spartan, lingering fragility, to lush and complex string arrangements. 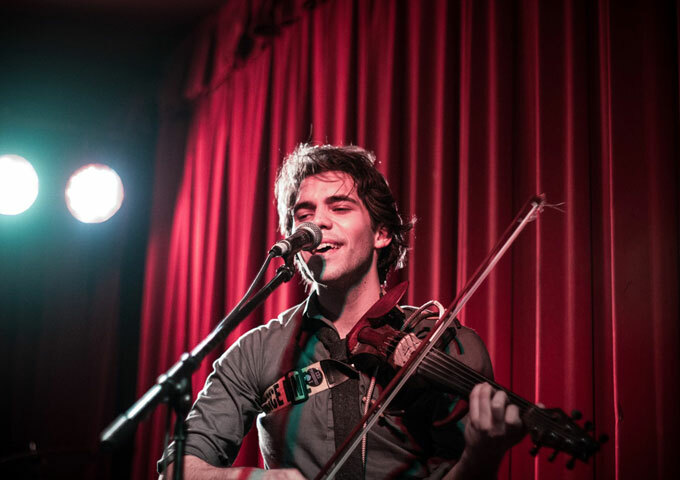 Trained as a classical violinist from the age of 5, an insatiable musical curiosity led Miles to branch out from classical music into other genres, exploring folk and jazz styles before falling squarely in love with rock and electric music. Miles Jacob’s latest album, ‘Narcissus’, features 9 tracks and a little help from Jacob Schreiber on drums and Manuel Gagneux who handles Programming, guitar and bass. Creatively, this is undoubtedly one of the best albums of the 2015 so far. The album is very consistent with an excellent sound, brilliant lead vocal and often electrifying and psychedelic violin by Miles Jacob. After spending countless hours listening to some of the most profound and expressive rock songs ever written, I now recognize that Miles Jacob is a man possessed by inspiration. There is barely a verse on ‘Narcissus’that is not absolutely spectacular. Meanwhile the musicians show expertise at backing such powerful words. They mold their electric sludge into foundation-shaking, sonic ripples on tracks such as “For Better or Worse”, “Born to be Broken”, “Brutal Honesty”, “Less Than Gold”, “Phoenix King” and the poignant closer, “Balloon”. All in all, Miles Jacob’s forges nine excellent tracks that echo in the depths of the soul. Some show remarkable restraint while others bathe in stunning gorgeousness. So what we have in this album is an artifact of Jacob’s labyrinthine musical spirit, with earnest lyrics and uniquely thematic, musical canvases of epic scale. Scanning through the track list, reels in memories of progressive art-rock music that is reflective, transcendent and bountifully melodic. From hazy rhythmic grooves to over-the-top, distinctive bombast, ‘Narcissus’ is intensely beautiful from start to finish, and each song has something to say, both lyrically and through an arsenal of amazingly layered sonic creations driven by Miles Jacob’s pedal-infested violin. In fact this album deserves special mention for the swirling bedrock of violin and vocal textures it is built upon. The music is simply amazing, filled with examples of the great talents at work here. And the common thread holding these elements together is obviously Miles Jacob. He is a superb artist. Satisfying to the very last note!